The numerous years spent planning, budgeting, organizing, pleading and addressing the daily unknowns are now behind many healthcare organizations as they look at life after their electronic medical record (EMR) implementation. For many who are beyond this milestone, it is a relief to move into the world of optimization and seek new ways to enable patient care. But such a transition can be a bit perilous for unprepared hospitals. The new environment surrounding the post EMR transition is quite different than that of the implementation days. You’re going to need a new management model. The EMR implementation world is filled with structure, process and defined deadlines. We all follow the marching orders of the almighty project work plan and develop sub-work plans to the master project work plan in order to keep our teams focused and on-track. Post EMR implementation is far less structured and requires a management model that keeps the team focused and productive. It’s much harder to say NO in the post-EMR implementation environment. Many organizations commit to a fixed deliverable associated with their EMR install. Requests that fall outside of this fixed scope are often tabled for post activation. Of course this approach is well supported by senior leadership as they want the system to activate in as rapid a manner possible with as minimal expense and disruption as possible. Post EMR activation, the floodgates to the backlog of tabled requests opens. Everyone wants a piece of the optimization team; gently and not-so gently reminding the team of their partnership by delaying their request with the promise it would be addressed post-activation. Hospitals transitioning to a new EMR are switching vendor platforms and as a result the data that is captured, distributed and reported upon is different than the prior paper-based or electronic system. It’s not that the new system data is wrong, but it’s definition, calculation or other characteristics are simply different. Tied to this phenomenon is the revelation that in multi-entity organizations, each entity often calculates seemingly standard metrics (ie: admissions, census. readmissions….) in different ways. Thus, no matter how the system reports the data, it is found to be inconsistent throughout the organization. With the thrill of the EMR activation fading rapidly afterward, what’s a CIO and project leader to do? Gaining awareness of these common occurrences is a good start and having the understanding that with a little preparation, these items can be readily addressed goes a really long way. 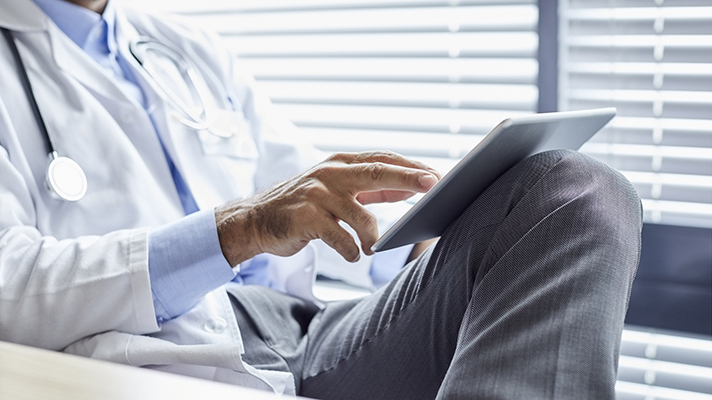 Your EMR implementation team will most likely be weary after the EMR activation. Long days spent working to meet project deadlines and even longer days supporting the EMR activation can take a toll on your team. Be sure to give these folks a break and have a new set of resources in place to provide the post activation and optimization efforts. Also, have some connection between the implementation and optimization teams to ensure that everyone understands the rhyme and reason for proposed changes. The number one key to post-activation survival: Governance, governance and governance. Operational leadership must assist in providing guidance regarding the priority and scope of post-activation activities. People closest to the user community front line are often best suited to lead this effort, are invaluable in maximizing the efforts, and most readily recognize the benefits associated with the system. Mobilize and strengthen your Data Governance committee in preparation for EMR activation. Identify the key metrics that your organization utilizes to manage the business and insure these data elements are consistently defined across the organization and properly calculated within the new system. Since my organization’s final EMR activation in March 2017, I’ve shared the metaphor with many folks that implementing the EMR is like participating in the Tour de France because you spend an enormous amount of time and energy peddling uphill. And then riders reach a point where the painful and agonizing peddling (the implementation) transitions to the downhill, extremely fast and quite treacherous portion of the race (post implementation). Both experiences are very different yet filled with equal levels of activity and exhilaration. I suspect that many people who have reached the peak and begun the dissent are enjoying the feeling of being on the other side with the ability to bring great benefit to their organization. Through the efforts of those on my team and in operational support, I am one of those experiencing that thrill. Now we begin a new leg of the journey. Mike Restuccia is CIO of Penn Medicine.